I love Christmas. LOVE Christmas. But holy man, am I glad I don’t have to put anyone at the top of the knitting list other than me and wee one. Which is fantastic because I just scored a load of new yarn from one of the most amazing yarn shops I’ve been to in awhile: fibre space in Alexandria, Virginia. They had so many yarns I’ve either never heard of (and wish I had!) or can’t particularly get in Canada, I was literally in there for so long that Husband (who usually stays in the car) came in to make sure I was alright. Hedgehog Fibres’s Sock Minis in Pollen and possibly Crybaby as it was tagless when I found it. 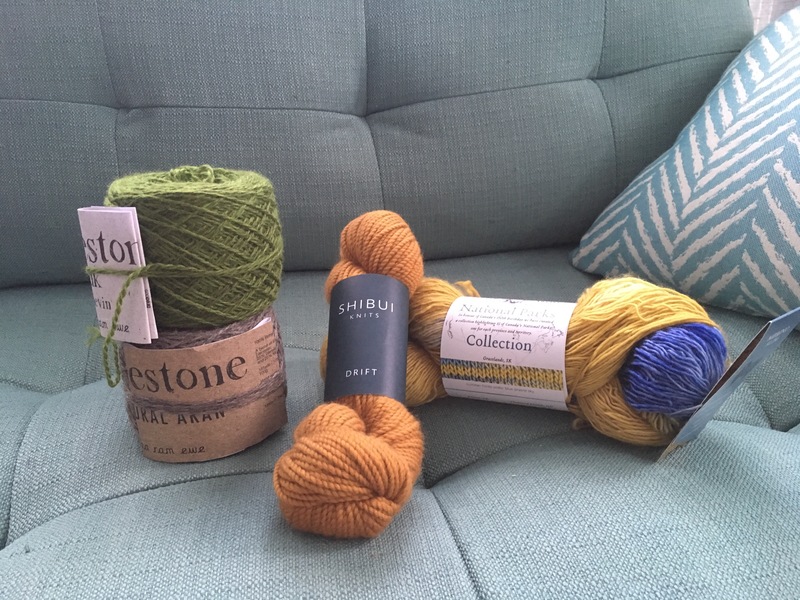 Brooklyn Tweed’s Loft in Meteorite. This one I’m so excited about and got proven right about how great it is, if only I could just figure out the perfect pattern for it because MAN I want to knit it up! SO much so I’m tempted to forgo my no-handwash-yarns-for-babies rule and knit up a wee sweater (I’m addicted to baby sweaters). The Periwinkle Sheep’s Watercolors Sock 75/25 in black/turquoise. Mama’s going to get a new pair of socks. But OH! am I so excited! If only I could decide on patterns. I’m on the last section of the Super Easy Crib Blanket by Purl Soho and knit in Berroco Vintage Chunky and I’m so happy with it – which, of course, I’m not surprised with since I’ve knit this blanket in various weights for other people and loved those as well. The past week or so have been pretty rough on me, and I’ve barely had time to knit at all it feels like. Somehow though, I have cast on a Flying North sock in the louet Gems I got recently. 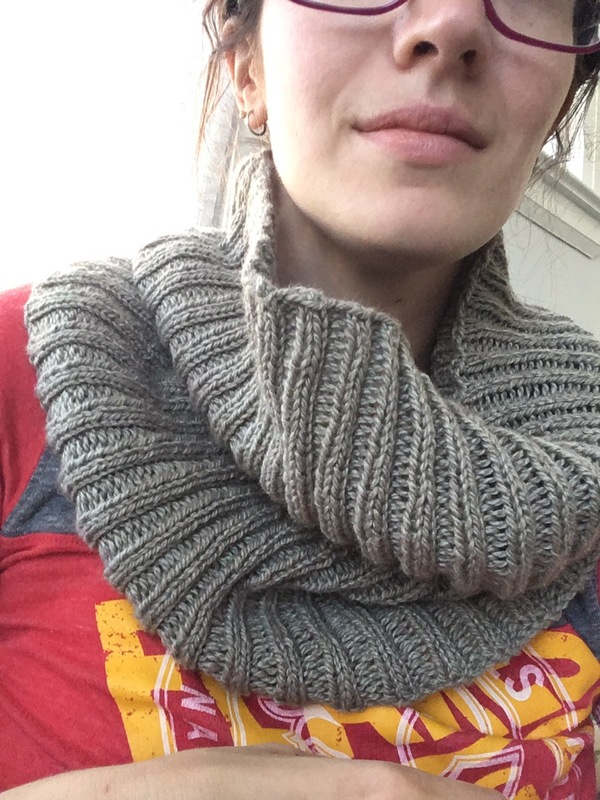 I’m pretty in love with this yarn: it’s soft and has amazing stitch definition. 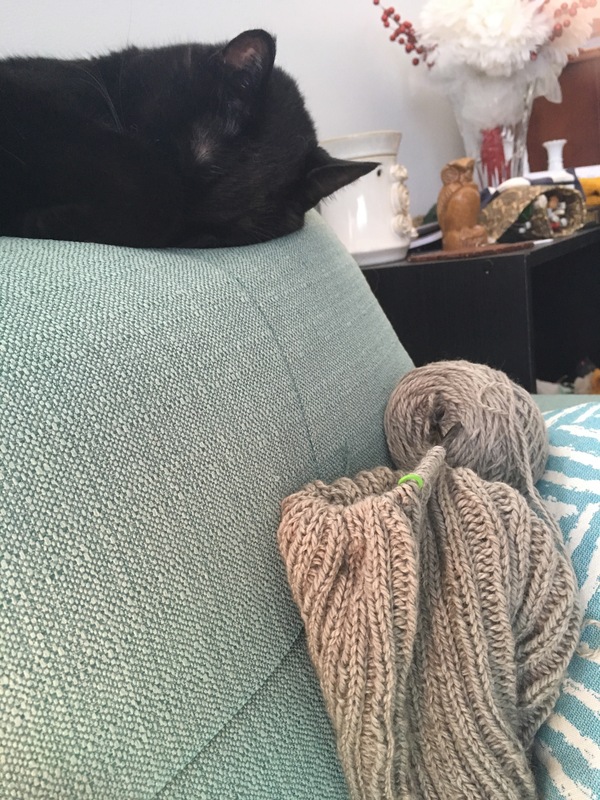 Some of my friends, however, were not as in love with the yarn as I was. Although they were pretty amused watching me knit during the pre-show at the movies the other week. Hey man, you have to take your knitting opportunities when they come. Guys, I think I’ve just had my knitting dreams come true. It’s official. It’s here. It’s awesome. Guys, I now have a yarn store in the family! My lovely knitter cousin has literally just taken control of and reopened Needles in the Hay in Peterborough, Ontario. It’s the sweetest little yarn shop in the sweetest little(ish) city, and I know I’m going to have a hard time controlling myself. Today she had her official reopening sale, and of course, I bought some goodies because a) as we’ve discussed, I have no self-control, and b) it was too glorious to say no. 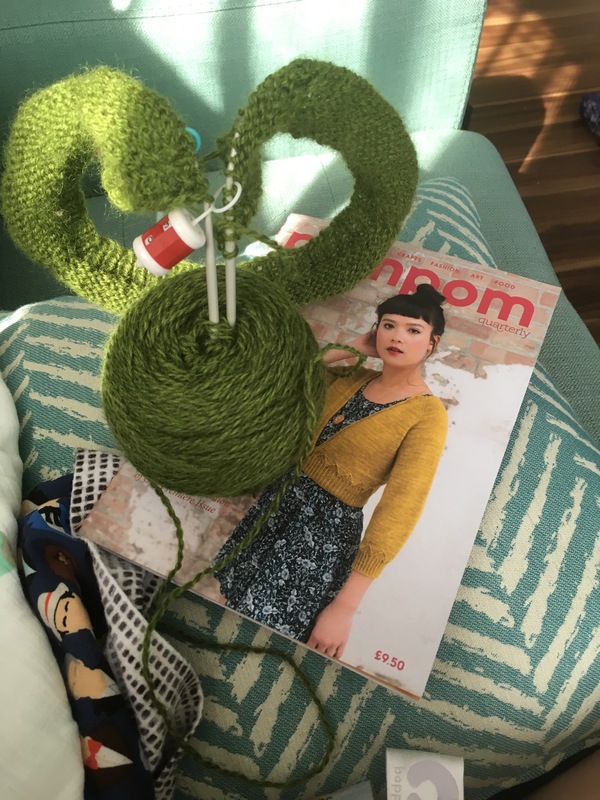 I snagged myself enough Indigodragonfly’s CaribouBaa in Hipster Franz and The Mung Bean Stalk (Special Edition) and Cumberbacchanal (bottom cake) to knit a Breathing Space sweater from Interpretations Vol. 3. I’m so excited. 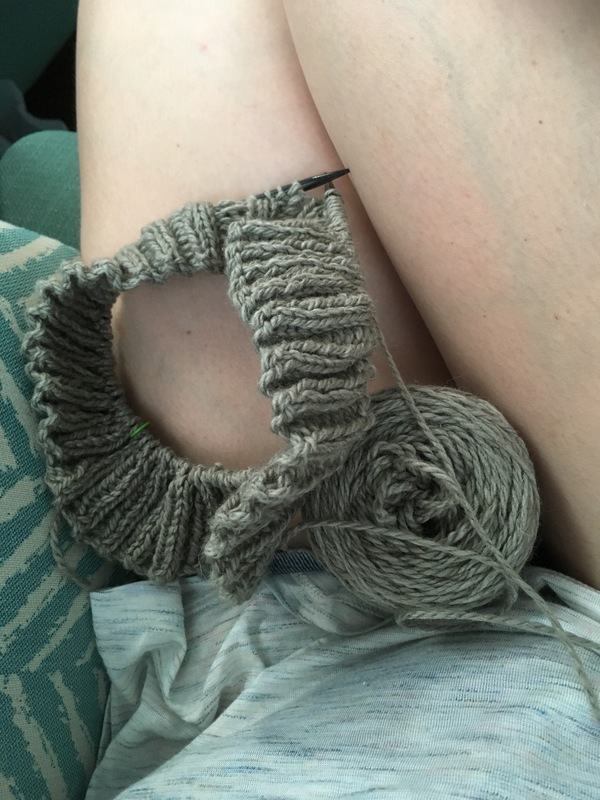 And then since I realized this morning that I really don’t have any handy travel projects, I got some louet Gems in Cloud Grey for some Flying North socks. So please excuse me while I go binge on new yarn. And hey, if your in the area: go check out Needles in the Hay – the reopening sale is continuing until tomorrow.